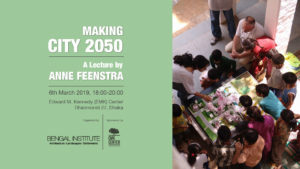 Dedicated to rethinking the urban future of Bangladesh, Bengal Institute for Architecture, Landscapes and Settlements is involved in investigating and producing alternatives visions for a better, livable and brighter Dhaka. 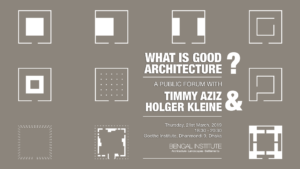 To demonstrate how Dhaka can be transformed into a city of civic, social and ecological well-being, Bengal Institute will present an exhibition of its visions for Dhaka. 15th October at Bengal Art Lounge at 15:30. The Honorable Finance Minister of the Government of Bangladesh, Abul Maal Abdul Muhith was the Chief Guest at the launch program. Honorable Mayor of Dhaka North City Corporation Annisul Huq, Honorable Mayor of Dhaka South Corporation Mohammad Sayeed Khokon, and Honorable State Minister for Power, Energy and Mineral Resources Mr Nasrul Hamid were the Special Guests. Abul Khair, Chairman, Bengal Foundation and Chairman, Executive Board, Bengal Institute for Architecture, Landscapes and Settlements, presided over the program. 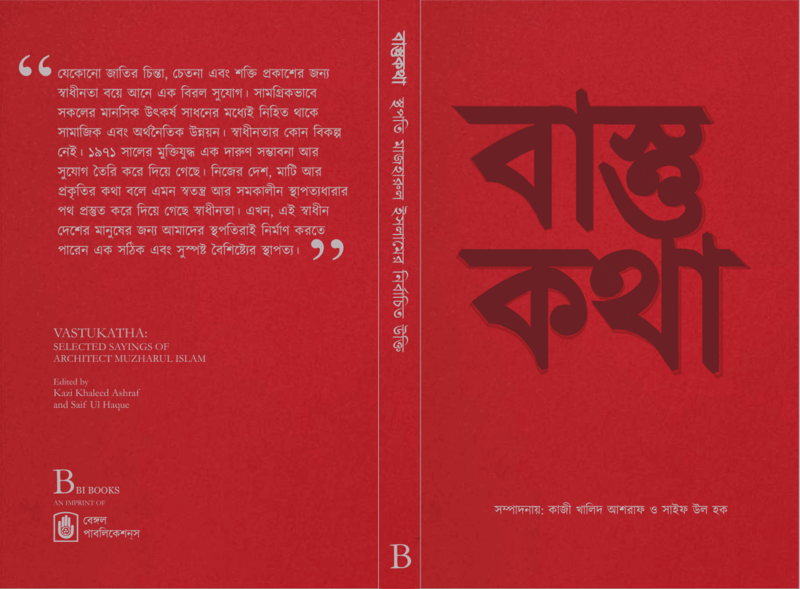 Bengal Institute has dedicated its resources to the study, research and design investigations for producing alternatives visions for a better, livable Dhaka. And some of those works were showcased at the “Next Dhaka: New Visions of the City” exhibition. 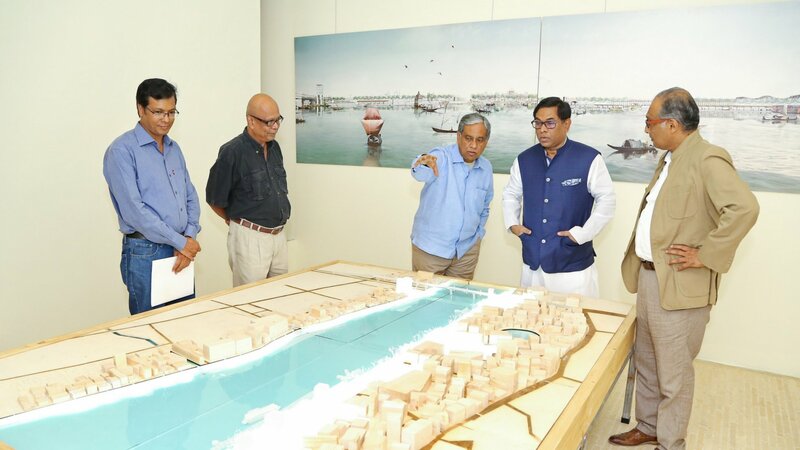 Through the exhibition, and focusing on four areas of varying scales, Bengal Institute demonstrated how a dire Dhaka can be transformed into a better city. The intention of the exhibition is: to create public awareness for such a city, generate a momentum for transforming the city, and consider exemplary models of transport plans, civic spaces and public places. 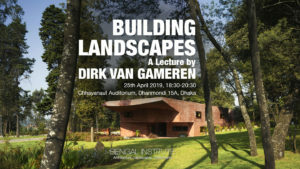 Bengal Institute presents alternative visions for Dhaka at three different scales: regional, inner-city and civic realm. The Institute also proposed a “Dhaka Nexus” in which the city and its greater neighborhoods – the region – are brought under an active and coordinated planning net. Three transportation rings around Dhaka have been proposed, that will be the organizational basis of the nexus. The first ring is located along the existing embankment roads of the city and connects Tongi, Savar, and Keranigonj. The second ring connects Naryanganj, Bhulta, Pubail, Gazipur, and Hemayetpur. The third ring connects Munshiganj, Mawa, Narshingdi, Kapasia, Kaliakoir, Manikganj, and other towns and settlements.